Mission Mayor Beto Salinas speaks with supports at his campaign headquarters Saturday, May 5, 2018, after learning the results of his re-election bid. 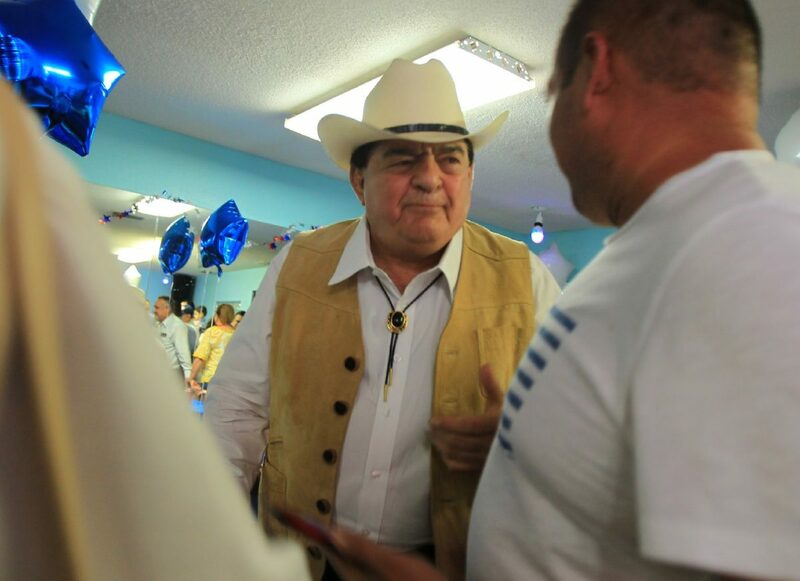 MISSION — Mayor Norberto “Beto” Salinas is three votes short of declaring victory after receiving 49.97 percent of the vote on Saturday, according to unofficial final numbers. The results send Salinas and current Commissioner Armando O’Caña into a runoff for the mayoral office since neither secured more than 50 percent of the vote. Salinas said he will request a recount. O’Caña received 41.63 percent of the vote with a total of 2,570 ballots cast in his favor. The third candidate in the mayoral race, Jaime Gutierrez, received 519 votes for 8.41 percent of the share. O’Caña chose to give up his seat on the city council to challenge Salinas to the mayoral seat. 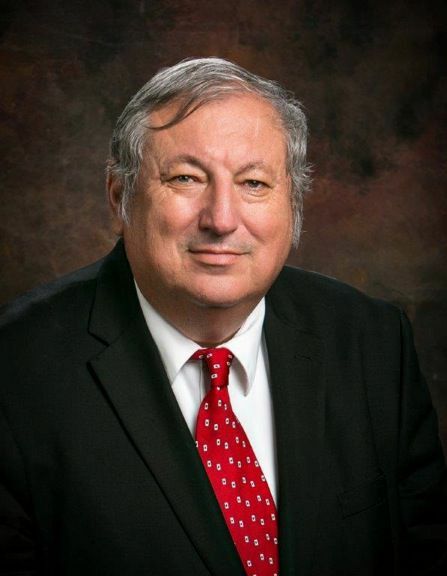 However, after announcing his candidacy, O’Caña remained in office until someone was elected to replace him in the spe-cial election that was also held that day. The race to fill O’Caña’s seat will be decided in a runoff. Julian Gonzalez, Hidalgo city manager, received 42 percent of the vote with 2,487 ballots cast in his bid for O’Caña’s post. Gonzalez will be in a runoff with Gus Martinez, an attorney, who received 2,143 votes for 36 percent. John “Doc” Robert Guerra, the third candidate in that race, trailed with 21.7 percent of the vote with a total of 1,286 ballots. Council member Jessica Ortega-Ochoa was re-elected to Place 1 with 54 percent of the vote — 3,251 votes in total. She was challenged by Henry Rodriguez who received 2,741 votes. Noralinda “Norie” Gonzalez Garza cruised to re-election on the city council as she ran unopposed for the Place 3 seat.